We are also looking for speakers, for our next events. I encourage everybody, to share with us their experience and knowledge, so please get in touch with Boris! 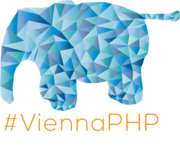 Meet awesome PHP devs and other interesting people at ViennaPHP, enjoy a Club Mate or a beer and let’s have fun. Abstract: Do you test your code? What about your tests? Your tests are code, you need to write, refactor and maintain them. This is not cheap so how do you make sure you are testing enough but not too much? Discover Mutation Testing, a fun tool to make your code better by introducing bugs. Description: The first part of the talk is about the costs of the tests to introduce what problem mutation testing is solving. The tests themselves are code, requires to be written and maintain and as such are far from being free. Depending of the maturity level of your application and your deadlines, you need to adjust the level of testing. Mutation testing is a technique that can provide a reliable metric to know how much of your code is actually tested (as opposed to unit test coverage which shows what code has not been tested) and as such provides a tool for both the team to control their level of tests and the business to have a trustworthy metric. Additional talks? Sure! We need still talks, so please get in touch with Boris! Sponsors? Sure! If you want to give thirsty devs something to drink while they talk about your company and remember it as one of the best around, come talk to Boris!